Charm City Night Market is the first-ever free outdoor block party in Baltimore’s Chinatown. The event coincides with the Lunar Mid-Autumn Festival. There will be musical acts, artists, local food vendors, storytellers, and a soju/sake/beer garden – all on an historic block of Baltimore’s Chinatown. If you’d like to splurge, you can purchase VIP tickets, where you can enjoy an Asian American lounge with light bites from Kaliwa DC and a specialty craft cocktail bar by Alex Dang of Ida B’s Table and Gina Netisingha of Wit & Wisdom. 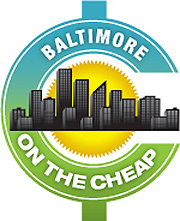 This event is hosted by the Downtown Partnership of Baltimore and The Chinatown Collective.